When it comes to Technical Death Metal, there’s no better than Decrepit Birth. Seven years in the making Decrepit Birth have been harnessing the energy needed for what could well be one of their best records to date. A cult favourite, the band have an incredible staying power. With their last record Polarity being released at the same time as when Kathryn Bigelow won the award for Best Director in Hurt Locker it’s been a fair while. Having returned more than ready in a new battle formation the band are top of their game here on Axis Mundi. Taking the elements that the band have been familiar with for an age and sharpening them it’s hard to find anything wrong with the record. Of course for some it might be slightly TOO extreme but for fans of this genre this is a smorgasbord of talent with no fly in the ointment here! 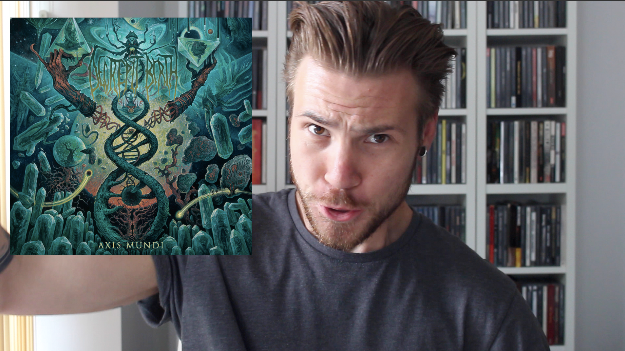 Decrepit Birth’s Axis Mundi is out now via Nuclear Blast / Agonia.